With the expansion of international cooperation, Switzerland, like other countries, has developed a set of specific instruments to integrate international law into domestic law. Nevertheless, direct democracy lends a distinctive aspect to the Swiss legal system. 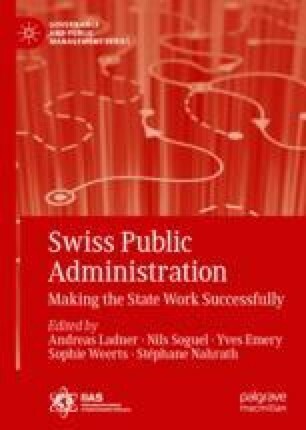 The object of the chapter is to show how the Swiss federal administration plays a role in maintaining a balance—as far as possible—between two poles: direct democracy and respect for international law. The two instruments of direct democracy, the referendum and the popular initiative, are analysed in the light of their influence on the signature, ratification and implementation of international treaties. The distribution of roles and competencies put in place within the administration demonstrates a sophisticated institutional engineering in terms of treaty ratification. Commission des institutions politiques du Conseil des Etats. (2018). Rapport et procédure de consultation. Dénonciation et modification des traités internationaux. Répartition des compétences. https://www.parlament.ch/fr/organe/commissions/commissions-thematiques/commissions-cip/rapports-consultations-cip/vernehmlassung-spk-16-456. Accessed 30 Mar 2018. Federal Council. (2016b). Avis du 31 août 2016 sur l’interpellation 16.3304 (développement de la réglementation). https://www.parlament.ch/fr/ratsbetrieb/suche-curia-vista/geschaeft?AffairId=20163304. Accessed 30 Mar 2018. Federal Department of Foreign Affairs. (2015). Guide de la pratique en matière de traités internationaux. https://www.eda.admin.ch/eda/fr/home/dienstleistungen-publikationen/publikationen.html/publikationen/fr/eda/voelkerrecht/Praxisleitfaden-Voelkerrechtliche-Vertraege.html. Accessed 30 Mar 2018.